CSX Transportation (CSXT) [system map] — based in Jacksonville, Florida — operates a freight railroad system that connects to every major metropolitan area in the eastern United States. It also links more than 240 short-line railroads and more than 70 ocean, river and lake ports. CSXT owns and operates the major east west rail corridor that runs through downtown Springfield. In the Pioneer Valley, CSXT interchanges freight traffic with the New England Central Railroad in Palmer, Pan Am Southern in Springfield, and the Pioneer Valley Railroad in Westfield. CSXT provides freight rail service to a number of customers in and around Springfield. CSXT operates a large railroad classification yard in the city of West Springfield. Pan Am Southern LLC (PAS) — a company jointly owned by Norfolk Southern Railway and Pan Am Railways — is a freight common carrier that possesses rights to operate approximately 437 miles of track in New England. 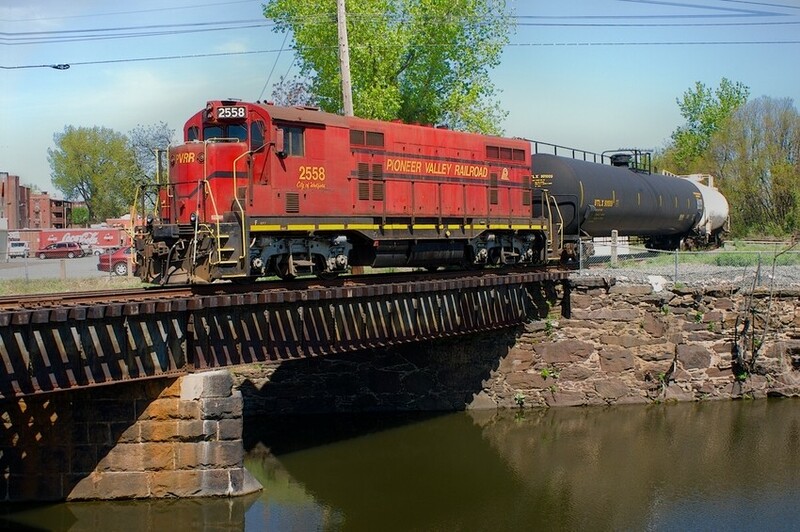 PAS owns the Patriot Corridor, a major east west rail line that passes through Greenfield, and it has an exclusive freight common carrier easement over the MassDOT-owned Connecticut River Main Line. Pan Am Railways [system map] — a regional Class II freight railroad system based in North Billerica, Massachusetts — operates over 2,000 miles of track and connects with four Class I carriers and 20 short line railroads. Norfolk Southern Railway [system map] — a Class I freight railroad system based in Norfolk, Virginia — operates approximately 20,000 route miles of track in 22 states and the District of Columbia. 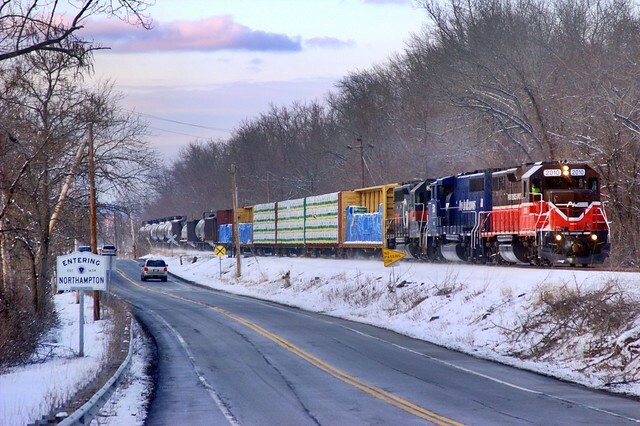 In the Pioneer Valley, Pan Am provides freight rail service on Connecticut River Main Line between Springfield and the Vermont border, and on the Patriot Corridor which extends from Mechanicville, New York to Ayer, Massachusetts via Greenfield. In the Pioneer Valley, PAS interchanges rail traffic with CSXT in Springfield, New England Central Railroad (NECR) in Miller Falls, and the Pioneer Valley Railroad (PVRR) in Holyoke. Pan Am operates a large railroad classification yard in East Deerfield. 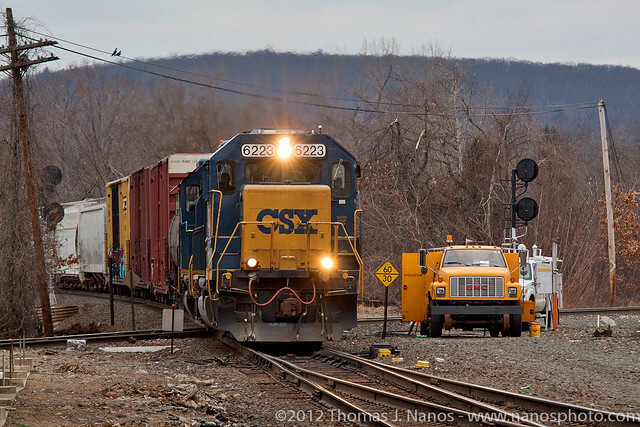 On the Connecticut River Main Line Pan Am currently operates one through freight in each direction, between East Deerfield and Plainville, Connecticut on a Sunday through Friday schedule. Pan Am operates a local freight out of East Deerfield that services its customers on the Connecticut River Main Line. This freight currently operates on a Monday through Friday schedule. The Pioneer Valley Railroad (PVRR) [system map (PDF)] is a short line railroad based in Westfield, Massachusetts. It serves industries, warehouse operations and transload facilities in the cities of Holyoke and Westfield. The Pioneer Valley Railroad interchanges rail traffic with CSXT in Westfield, where its main classification yard is located, and Pan Am Southern in Holyoke. Customers of the Pioneer Valley Railroad include propane suppliers, lumber yards, waste haulers and paper mills, as examples. Pioneer Valley Railroad operates a sister company in Westfield called Railroad Distribution Services which owns and manages a number of logistics facilities with rail access. New England Central Railroad (NECR) [system map] — based in St. Albans, Vermont — operates a 394 mile freight railroad between the the Vermont/Quebec border, and tidewater at the Port of New London, Connecticut. In the Pioneer Valley, NECR interchanges freight rail traffic with PAS in Millers Falls, CSXT in Palmer, and with the MassCentral Railroad, also in Palmer. Major commodities featured for movement on the NECR include lumber, panels & plywood, poles, newsprint, printing paper, compressed gas, chemicals, fuel oils, road salt, ferrous and non-ferrous metals, fabricated metals, resins, trailers/containers on flatcars, finished vehicles, feed mill ingredients, machinery and equipment, recyclables, ash, construction debris, foodstuffs and non-metallic minerals.